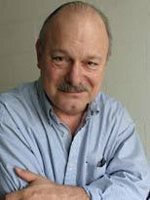 Joe Haldeman is best known for his hard science fiction novels, including The Forever War and Camouflage. He has served twice as president of the Science Fiction Writers of America and teaches creative writing courses on occasion at MIT. His books and stories have won 5 Hugo Awards, 5 Nebula Awards, a World Fantasy award, the John W. Campbell Memorial Award, and a Locus Award, plus several Hugo and Nebula nominations. Matthew Peterson: Let me ask you the bonus question. So the bonus question: I know you teach creative writing at MIT. What’s some of the most important advice that you give your students? Joe Haldeman: Hmmm. I’ll tell you one thing that everybody should keep in mind who’s a beginning writer, and that’s that most editors will say that the problem with beginning writers’ stories, most often, is that the story begins too early or too late. That is to say, either the writer starts too much of a build up, too much preparation for the story, or the writer jumps into the story sort of en medias res without enough preparation for the reader. And knowing exactly when to start a story is sort of an unconscious skill I think you get from careful reading. And of course, if it’s at the wrong place, well, finish the story and then go back and look at the beginning again and see whether you can adjust the time forward and backward. Matthew Peterson: Yeah. I think that’s really good advice because when people pick up a book, a lot of times they’ll just read the first page or two and see how interested they are in it. Joe Haldeman: Yeah. The first page should be a killer page no matter what the rest of the book is like. Matthew Peterson: Yeah, yeah, I agree. Matthew Peterson: Any dates? Oh, you’re working on it right now, so it could be another year or two. Joe Haldeman: Yeah. It should be next July, it comes out, if I stick to my schedule. Joe Haldeman: Well, yeah, he was trying to build a different kind of machine and it didn’t work. Instead it turned into this odd time machine. Matthew Peterson: You’ve mentioned to me a couple times that you’re not the greatest fan of fantasy. You did win the World Fantasy award, but you don’t write a lot of fantasy, but I was looking back, back, back, back in your earlier books and I noticed that there were a couple mermen books. Joe Haldeman: Oh, yeah. Those were interesting. That was kind of science fantasy. Joe Haldeman: It was a series character that didn’t pan out. This guy hired me to write under a house name, Robert Graham. Joe Haldeman: And it was an absurd premise. [laughs] I tried to make it a little more like hard science fiction. Joe Haldeman: But it was this caped crusader type who is fighting for oceanic ecology and the protection of siltations and this and that and the other thing. All very far out contrived stuff. Matthew Peterson: Yeah, I thought that was interesting. Joe Haldeman: But, you know, I’m not ashamed of them; they’re pretty good books for what they are.